Top Spec offers competitively priced and nationally distributed single-ply roofing systems for low-slope residential and commercial contractors – including RBR EPDM, PRO TPO, WELD-FREE TPO and PRO PVC. Finishing even Energy Star-rated roofs properly is easier than ever, thanks to our broad inventory of accessories and ease of purchase. Top Spec offers the right roofing product for you! 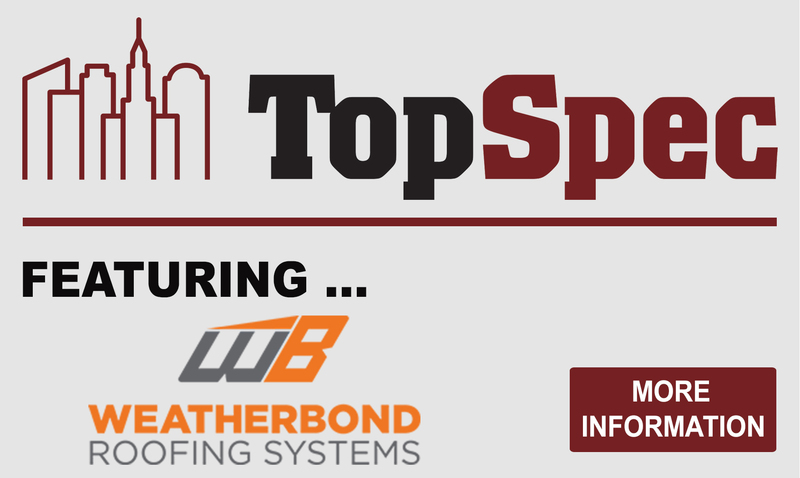 Top Spec by WeatherBond's EPDM Fully Adhered Roofing System provides building owners with a long-lasting, dependable roof system and applicators with fast and easy installation. Top Spec by WeatherBond PVC (polyvinyl chloride) membrane can be mechanically attached or fully adhered and features many cool-roof attributes, which reduces a building's energy costs.